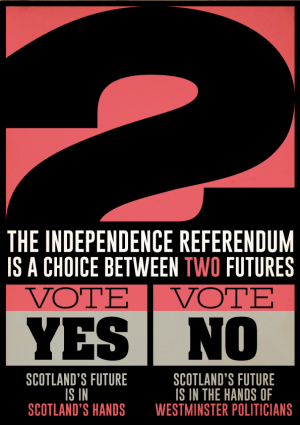 Scottish Independence Referendum Part II: Should Scotland be an independent country? 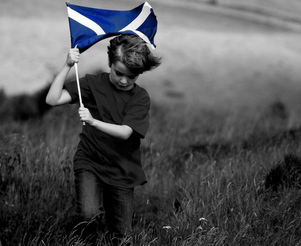 The day Scotland decides the fate of Great Britain in the Scottish independence referendum is fast approaching. In the second article of this two part series, academics from Warwick explore the internal and external factors influencing the voters in the Scottish independence referendum. Words by Gareth B Jenkins. Speaking to around 40 peers in the House of Lords, Lord McConnell was heavily critical of the standard of debate so far in the lead up to the Scottish independence referendum on 18 September 2014. The failure of the Better Together campaign to express why the Union remains beneficial for both England and Scotland has left the outcome of the vote in September far from certain; something Alex sees as an own-goal for the No campaign. Alex puts the traction gained by the nationalist campaign down to just one man; Scotland’s First Minister Alex Salmond. “I think Alex Salmond has demonstrated a really masterful grasp of how you do politics,” he says. “I’m convinced that he’s Britain’s best politician in the sense that he’s probably the best electoral strategist and the best political tactician on the UK stage. “I’m not saying anything controversial when I say that the Conservative Party has a big PR problem in Scotland. In 1997, at the end of 18 years of a Thatcher-Major government, the Conservatives lost every single seat they held in Scotland. They’ve struggled ever since to reclaim any of that territory and currently only have one Scottish MP in Westminster. Dr Martin Skinner, of the Department of Psychology at the University of Warwick, agrees: “British politics is essentially English politics. I’m sure people in Scotland would like to see a debate but many Scottish people would be repelled by the idea of an English person speaking for the No campaign. “It’s why they’re keeping David Cameron out of Scotland. He’s English and he’s a certain type of English: he’s posh, he’s rich, and he’s a Conservative. There aren’t many Conservatives in Scotland and when a posh, rich English one comes along – suddenly the Scottish person feels more Scottish. Alex Smith says that if a debate were to go ahead, Alex Salmond would be the logical choice for the Yes campaign’s podium. 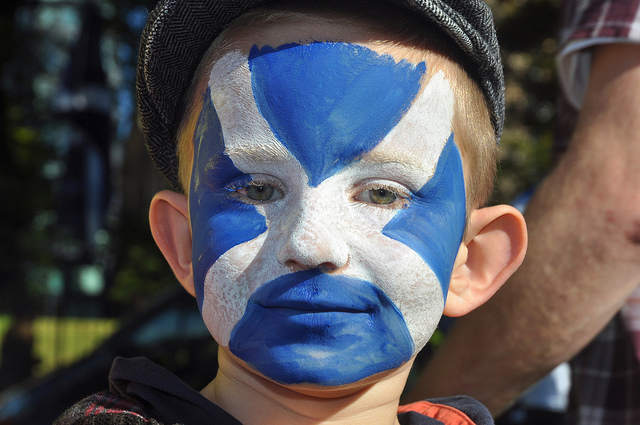 'The Scottish independence referendum raises wider questions around the psychological construct of identity. Social psychologists like to think that there are personal aspects to identity that are subjective: my anger, my fear, my happiness. But there are also social aspects to identity. A lot of what we know about ourselves and how we construe ourselves is related to our relationships with other objects. These can be people, small groups such as families, or political groupings as part of a national identity. For the past six months, polls on the Scottish independence referendum have been relatively consistent. Around 30 per cent of the population of Scotland would vote yes and 50 per cent no. The remainder ‘don’t know’. [Source: BBC Scottish referendum poll tracker]. Skinner says: 'When someone tries to persuade you of something, there can be two basic processes at work influencing your attitudes. The first we could call instrumental: our attitudes towards something as positive if it brings benefits or negative if it brings unwanted outcomes. We might be in favour of freedom or higher wages and against censorship or low wages. So some, for example, might vote for independence because they feel they’ll be materially better off. But nobody really knows whether they’ll be better or worse off. The experts disagree so how can voters know? We think we know the facts but we don’t really examine where the facts come from. 'The second process behind the attitudes we hold is self-evaluative. Our attitudes can identify us with groups or identities that are favourable, and distinguish us from those that are not. For some people, voting yes or no will express a desire for social identity. They may want Scotland to be independent because an independent Scotland will contribute to that identity in a more positive way than it would if it were part of the UK. “This is another piece of evidence – if you need any more evidence – for the political genius of Alex Salmond. The Commonwealth Games are scheduled to take place just a few weeks before the Scottish independence referendum. This will be Glasgow’s moment, this will be Scotland’s moment, they’ll be on the world map; it’s an opportunity for the government of Scotland to look like its capable of organising these really big, international events but also acting like – and they won’t come out and put it like this – but acting like a national government. There remains a difficult question around whether or not both parties, not just Scotland, would be better apart. For example, it has been claimed that England subsidises Scotland [Source: The Daily Telegraph]. With that in mind, would England be better off if Scotland left the Union? 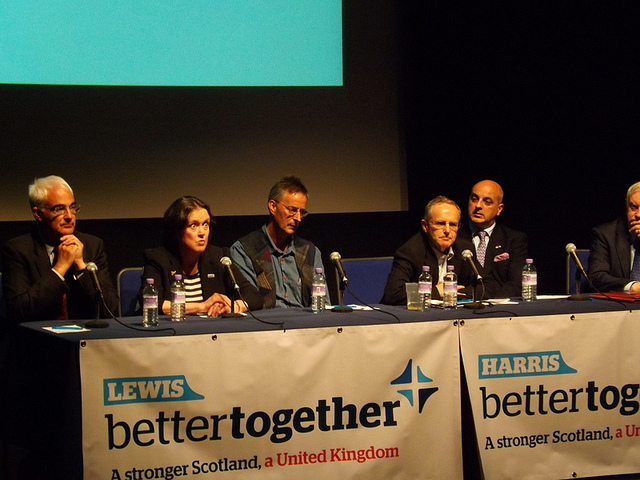 Neither Alex nor Martin believes an independent Scotland will be favourable to the English. “I was thinking about this this morning,” says Alex “And I was trying to think of arguments why England is better off staying in a union with Scotland. Scotland has very significant military assets; it’s part of the British Army and the British Armed Forces. Scotland is also the country in which the Trident nuclear deterrent is headquartered. England would be better off in a union with Scotland because it would avoid any uncertainty around those assets. Some assets would likely leave Scotland if the people of Scotland were to vote yes in a referendum, although this is not guaranteed for Trident. Alex Salmond has said that such a move should only be taken if the SNP wins a post-referendum election – likely to be in 2016 [Source: The Guardian]. In recent months, members of the Westminster government have become more involved in the debate. In February, the Cabinet met in Aberdeen and the Prime Minister David Cameron gave Scotland the message, “We want you to stay”, [Source: Daily Mail] highlighting the logic behind the Union based on England and Scotland’s shared values. “But it seems to me,” says Alex “That his take on British values is based on a kind of nostalgia; a nostalgia for a United Kingdom of Great Britain. In order to make a really compelling case for why Scotland should stay in the Union, and to build it around British values, one really needs to take seriously this idea that there are public values that transcend north and south of the border. And, that’s very hard to sustain after three or four years of the coalition government’s reforms to the public sector and welfare spending, university funding and other things in England. In the first few years of the Scottish Parliament, Labour and the Liberal Democrats formed a coalition government, the Scottish executive, and many of the policies they introduced were built around values they shared with the Labour government in Westminster. Both Alex and Martin are available for media interviews. Contact the University of Warwick press team for details. Read the first article in this two part series, where Dr Gabriel Glickman and Dr Sarah Richardson, Department of History, explore what brought Britain together. Dr Alexander Smith is the author of ‘Devolution and the Scottish Conservatives: banal activism, electioneering and the politics of irrelevance’ (2011, Manchester University Press). He is also a Senior Leverhulme Research Fellow in the Department of Sociology at the University of Warwick. Dr Martin Skinner is the Principal Teaching Fellow in the Department of Psychology at the University of Warwick. His research interests lie in social psychology, particularly symbolic interaction of the role of the self and self consciousness in social behaviour.